I find myself dealing with something of a conundrum at the moment. On the one hand, I obviously want to know what happens in Game of Thrones Season 8. On the other, I’m not sure I can put myself through it all – the Battle of the Bastards nearly killed me, and I feel like it was only a drop in the ocean compared to what’s to come. Thankfully, however, I may have found a way to soothe my nerves. Ahead of the start of the new season, Reigns: Game of Thrones is getting an expansion, with 100 new game cards that appear to be directly linked to the events of the new episodes. Details are pretty scarce, but some of the new cards offer sneak peeks at the final series, suggesting that Danaerys could head back beyond the wall once again, and that somebody will end up scuffling with the Night King. 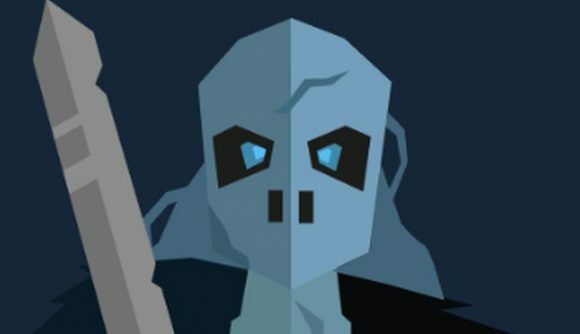 According to a tweet from publisher Devolver Digital, all of those new cards should be live now, although you may want to wait until the new series has started in order to avoid spoilers. In case you missed Reigns, it’s always been a little bit like Tinder meets Game of Thrones. The first game cast you as king of an unnamed kingdom, and gameplay asks you to interact with your advisers by swiping left to make one decision, and right to make another, balancing the interests of the Church, the Army, the People, and the Bank. The first game launched in 2016, and spawned a sequel, Reigns: Her Majesty the following year. That game was nominated for two Golden Joysticks and a BAFTA, and won an award for its writing at The Writers’ Guild of Great Britain awards earlier this year. The official Game of Thrones take on the game launched in October 2018, but had always been a pretty logical next step, if you ask me (you can also check out our sister site Pocket Tactics’ Reigns: Game of Thrones review if you don’t believe me). It changes the formula a little to account for the Game of Thrones story, but whether it’ll help soothe my nerves ahead of the show’s finale remains to be seen.